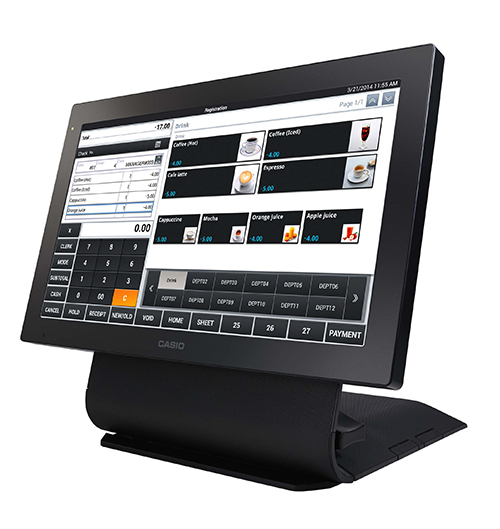 Casio’s QT-6600 flash ROM touch POS terminal offers flexible connectivity, stable system integrity, easy operation, speed and efficiency for your hospitality or retail needs. 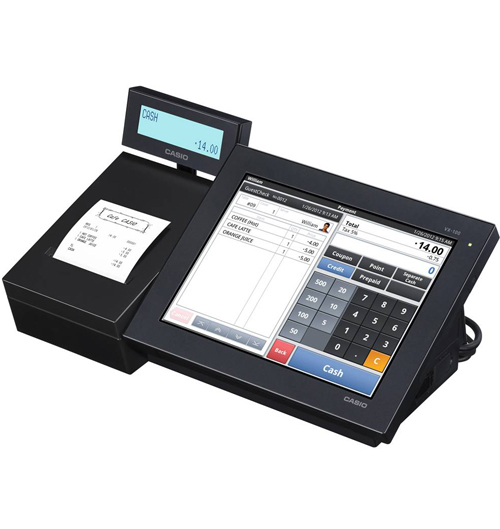 The V-R100 is an Android-based POS terminal designed specifically for the POS industry that offers both an embedded application and an open platform with no hard drive or fan. The embedded application is a powerful application with new features not found on previous models, and it is designed specifically for hospitality and retail applications. 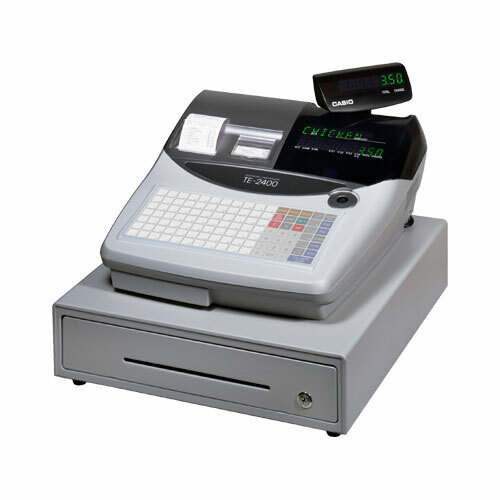 A simple yet powerful register helps increase efficiency of store management and improve productivity. Equipped with two 58mm wide thermal printers with the capability of printing both a graphic logo and watermark. Flat water resistant keyboard with 70 PLU items per level. 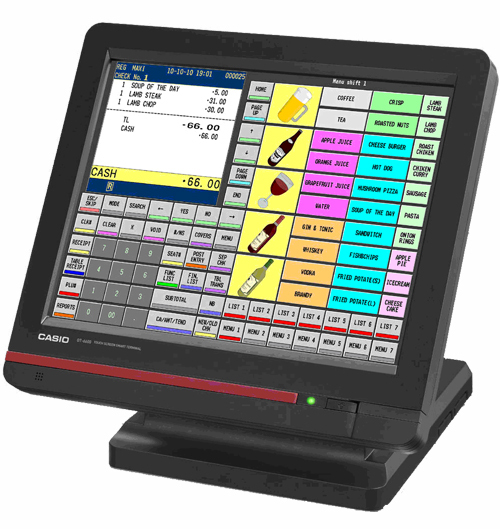 The V-R7000 and V-R7100 are Android™ based POS terminals highlighted by a 15.6” wide touch screen in a thin ergonomically designed cabinet and pedestal. 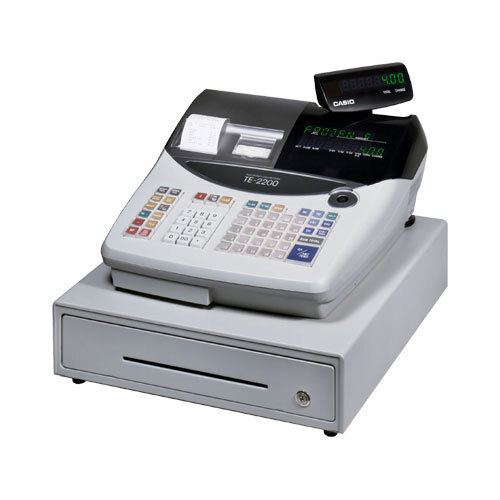 Similar to the V-R100, the V-R7000/7100 POS terminals are designed without a fan, hard disk drive or any movable components to ensure efficient store operations by eliminating common hardware problems experienced with PC based hardware.